Wire O binding — the photo shows an open spine on a hardcover book. Wire-O for books can used for either hardcover, hard case books, or softcover books. The photo above shows a hardcover with an open Wire-O spine. They can also have a wire that is concealed or semi-concealed. 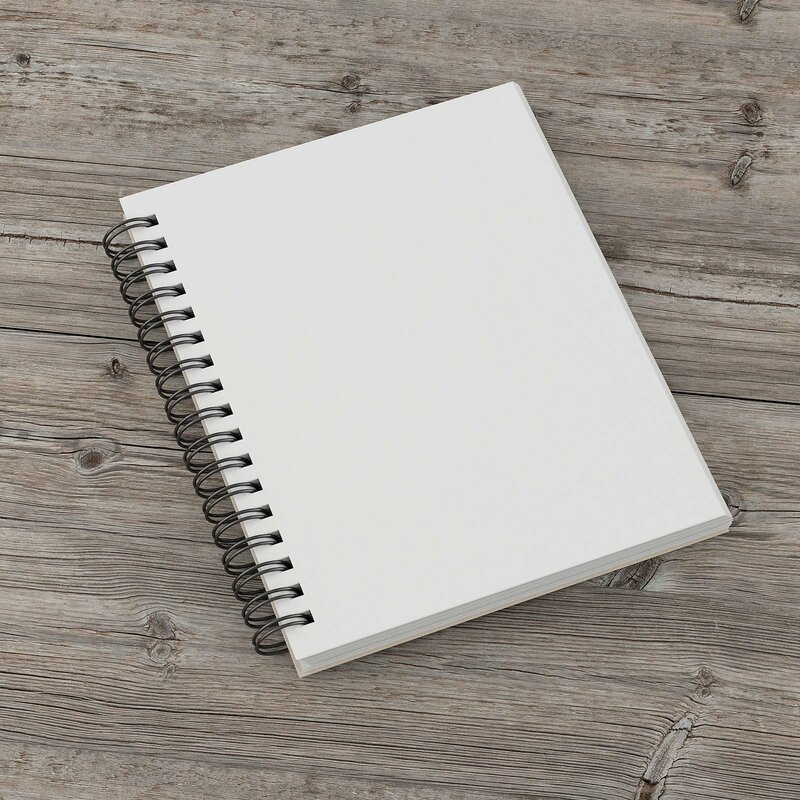 A hardcover Wire O binding can be used as an easel book. Books with a Wire-O® may or may not have a spine, but a spine with a title on it is usually is mandatory in most bookstores. If a spine title is mandatory, then we suggest going to a concealed or semi-concealed binding. The Wire O binding style is great for cookbooks or any reference books that need to lay completely flat. Reference books often need Wire O. Although we do manufacture books wit spiral or coil bindings, most of our clients have converted their publications to Wire-O bound books. They are also better, in most cases, than spiral binding. Whenever a self-publisher has switched from spiral to Wire-O, we get rave reviews! The wires come in different colors and widths too. Wires can be custom manufactured for larger book runs, but not on minimum orders. However, there are many choices available. You may want a color or a metallic finish. Just ask us, and we will likely be able to supply it. If you are in need of InDesign to create your book, find it at Adobe InDesign. Let’s talk about your book! Choose the semi-concealed Wire-O® binding on back cover, next to the spine, or the wire on the spine. We custom manufacture books. Challenge us! See what we can manufacture for you.